Although PlayStation Portable is quite an underrated gaming console as compared to other ones but I think somewhere it is way easier to access it. What makes it different from others is that it is handheld and of course you can carry it anywhere. This is why you should know about some of the best PSP games to kill your free time. The gameplay and graphics differs when a game is made for PSP console and this is all because of its type. However, it is as fun to play games on it as on the rest of the consoles and simpler too. I really believe that this is the best creation of Sony till date. So, there is an ultimate list of PSP games which are made for PSP console but of course we do not have that much of time to mention them all here. So, I picked 21 best PSP games of all time which I am sure you would love to play sometime. This list is a cusp of variety of genre and you would love to explore the games given below. It was nearly impossible to start this list of best PSP games without mentioning one of the installments of Metal Gear Solid series. 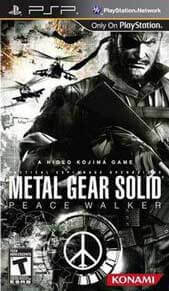 So, the Peace Walker is the 7th installment which is based on the genre of action-adventure and stealth. You can play the game in both single player and multiplayer gaming styles and there are basically two gaming modes called Mission and Mother Base which are action based and army management modes respectively. Players can choose the mission from the selector screen which are further divided in the categories of Main Ops and Extra Ops and both functions just like their name. Scores are given according to the performance for each mission and players can also replay the missions too. Coast to coast is a type of racing game. 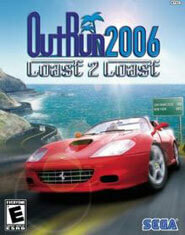 it is the 8th installment of OutRun 2006 series and comes with modern features and better graphics. The game is briefly divided between two parts which are OutRun 2 SP and Coast 2 Coast which are single player races and internet multiplayer modes respectively. The online mode of the game is something which sets itself apart from other installments of the game and it features gameplay for up to 6 players. These are the types of PSP games which you would love to play all the time without even getting bored. It is quite like the classic Mario games which never ceases to amaze the gamers. Daxter comes under the category of good PSP games and is a type of platform video game. This game is a part of Jake and Daxter series. 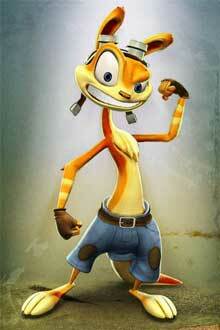 The game focuses on the protagonist Daxter which is a creature called Ottsel (fictional hybrid of Otter and Weasel). Daxter features both single player and multiplayer gaming modes and in this installment, Daxter is given some high-tech and quite interesting melee weapons to fight with enemies. In fact, some really cool changes are flamethrowers, jet packs, bug spray and many more. There is no dull moments in the game and it follows a linear pattern in the procedurally generated world. With the actions like jumping, dodging, climbing etc. you need to keep on moving the protagonist further in the game. 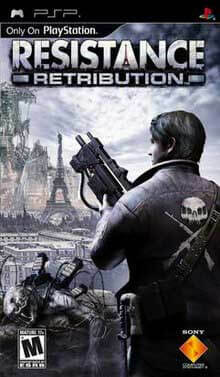 Resistance: Retribution belongs to the genre of third person shooting and quite edgy by the gameplay. It has single player and multiplayer mode (Max. 8 players allowed) both. What makes it counted amongst the good PSP games is the fact that the graphics are quite amazing and the visuals are very realistic ones. You can also find further versatility in the multiplayer gaming choice where modes like Team Deathmatch, Containment, Capture the Flag, Assimilation etc. are featured. The game is quite advanced as the system automatically locks the player to cover when the player goes near it. The game is all fun and mostly focuses on combat through shooting. You can make the game even more interesting throughout the online features. Chains of Olympus is the 4th installment of God of War game series and belongs to the genre of action and adventure. 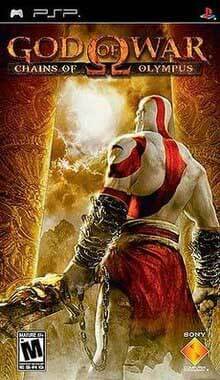 The plot belongs to ancient Greek mythology where the player controls the character of Kratos who is a Spartan Warrior. You as a player is supposed to save the world from evil powers and needs to perform certain tasks throughout the game for it. This inclusion in the list of best PSP games is controlled from third person perspective. The combat performed is mainly combo based and the player is given a main weapon called The Blades of Chaos. You can also see the elements of Hack and Slash in the game but what counts the most is the ultimate graphics and visuals of this game. It won’t be wrong to call the Wipeout Pure one of the must play PSP games. It is basically a racing game but set on the theme of futuristic world and hence you are going to witness amazing themes in it. This is the 6th installment of Wipeout series and its plot belongs to the year 2197. The gameplay mainly revolves around the players competing in FX300 anti-gravity racing league where they can wish to compete in either single player or multiplayer modes. The ships are made up of anti-gravity technology and total 8 players can take part at one time. Each ship is different and possess different abilities. While racing players need to make sure that their ship does not collide with anything or else it will explode immediately. New game in the list of best PSP games which brings new genre which is beat ‘em up. The Warriors features the genre of action and adventure and can be played in both single player and multiplayer gaming modes. You can choose your character from given choices and needs to be the part of a gang on its survival missions. The main highlight of the game is brawling and there are tools given which can be used as weapons. Once you have completed the missions in The Warriors, a new game called Armies of the Night gets unlocked automatically. There are various activities like talking to team members, train members etc. which matters a lot in the game. Syphon Filter: Logan’s Shadow is a combination between the genres of shooting and stealth. The gameplay is controlled from third person perspective and uses the principle of Havok physics in the game too. This is why enemies and objects are going to react realistically on gunshot and other means of interaction. The entire gameplay mechanics is governed by variety of weapons which are important to be upgraded timely. Logan’s Shadow features both single player and multiplayer gaming modes and cover system is really important part of the later mode. You can use moments like leaning, blind fire, side by side covering to defend yourself against enemies. There is also an advanced melee system including elements like underwater combat, giving commands etc. The 3rd Birthday is a type of shooter game which is controlled from third person perspective. You can also discover the elements of role playing here. The game mainly relies on combat and the mechanics of overdive ability is used fully in the game. This game makes one of the best PSP games where the game’s plot is set in the year 2013 featuring a post-apocalyptic environment. The player takes the role of Aya Brea who needs to complete various missions throughout the game. Aya operates from Counter Twisted and acts accordingly when called for missions to fight against the creatures called Twisted. You can save the game only at Hub and safe zones in the missions if Aya encounters a fatal incident during the mission. The 7th installment of Tekken Franchise, Tekken 6has all the characteristics of being included amongst the must have PSP games. This is a fighting game which is based on the genre of beat ‘em up and has both single player and multiplayer gaming modes. The game also explores the genre of role playing and gives enhanced and better features of character customization. Also the level of interactivity has also increased in this installment. Tekken 6 also introduces the Rage System which increases the strength of a player when he is weakened. There is also a Hack and Slash mode too which focuses on the character of Lars who is on a journey to find his identity and purposes of the missions. The Soulcalibur belongs to the type of fighting video games and uses various features of its predecessors. There is also scope for character customization and you have the option to pick either single player or multiplayer gaming modes. It also features special characters from other games too like Kratos from God of War, and Dampierre. As this one is a fighting game, you need to pick the AI players you want to fight against in the Quick Match Mode. Each time you win against an AI, you are given a unique title for it. Grand Theft Auto or GTA is an all-time popular pick for the category of top PSP games and Liberty City Stories is the 9th game in this series. This is a type of action adventure game which has special multiplayer gaming mode for PSP only along with the usual single player gaming mode. The game is set in open world environment and played from a third person perspective. The game some of the new features like indoor environment, clothes change etc. The players can also move the camera around in order to see the view of the city which is actually quite a flexible feature for the player. As this is an open world game, there are no certain objectives. This one is an action role playing game based on Marvel’s X-Men characters. The game features mutant supervillain apocalypse as the primary antagonist and you are going to get to see some high quality cinematics and visuals here. It surely deserves to be in the list of best PSP games and just perfect treat for any Marvel lover. You can play it in both single and multiplayer modes. The game features unusual combination of X-Men and villainous Brotherhood of Mutants who face the ultimate villain Apocalypse together. Players can use only four characters at a time and the cooperative mode makes it even more interesting. You can only unlock new characters when you reach on to a certain level in the game. A tactical role playing game by nature, this gem for the list of PlayStation Portable best games is the 3rd installment of Valkyria Chronicles series. Here the player controls the character of “Nameless” a penal military unit serving during 2nd world war. The player needs to take part in the missions against enemies and the story runs in the manner of a comic book style. The missions go linearly and as you proceed further, you tend to unlock new sections of the game too. The entire gameplay largely depends on the choices made by the player as after choosing one path, other one gets blocked automatically. Tactics Ogre is also a tactical role playing game just like the former one here. Let Us Cling Together is the 2nd game in the series and features a gameplay which is way different from its predecessor. The gameplay is mainly limited to squad based fights and turn based combat is the prime element here. As the game contains the features of RPGs, you get to make a team of the characters of your choice. Instead of proceeding the whole team in one go, this game focus on individual characters and hence makes them move forward separately. Also, team management between battles are handles through map interface. The main objective remains to defeat the opponent by strategical combat. How could I not include this really popular and one of the best PSP games in this list? Serving as the sequel to The Sims, this one is a strategic life simulation game featuring both the single player and multiplayer gaming modes. The players are supposed to control the characters of their sims and take part in various day to day activities. You need to form relationships and simulate real life things. The game uses a 3D graphics engine where each Sims character lives for 90 days and goes through six stages in this life span. The storyline keeps on changing and hence the gameplay is not linear which is why the game maintains its unpredictable nature throughout. The gameplay is open ended and hence there is no certain goal in it. Counted amongst the best games on PSP, Extreme Justice is a sequel to Pursuit Force and focuses on the genre of vehicular combat. Here the player controls the Commander of a special section of the Police called Pursuit Force. The purpose is to fight against the city’s gangs and the entire gameplay revolves around combat and action in a fast paced mode. The game is controlled from third person perspective and the player can control cars, bikes, helicopters and other types of vehicles here. The player can jump on enemy’s vehicle from his vehicle to fight with him. There are various missions also throughout the gameplay where each one of them lasts for about ten minutes having distinct objectives and goals. Patapon is a mix between rhythm game and god game and controlled from third person perspective. The game features a 2D environment with cartoonish theme where the player takes up the role of a deity who commands the cartoonish tribal people to perform certain tasks like beating drums. No doubt it stands apart from the rest of the best PSP games because of the unique theme and genre of the game and you can play it in single player gaming mode only. You need to keep on commanding the tribe by using a special sequence of rhythms like attack, move forward, defend and other actions. The game establishes a great balance between music and god game features effectively. Monster Hunter Freedom 2 is a type of action role playing game which features single player and ad-hoc multiplayer gaming modes. This next option in the list of best PSP games is divided into various quests and mainly revolved around fighting and killing of enemies. There are two types of quests where the smaller ones mainly focuses on collecting resources and killing small creatures while other quests focuses on killing boss characters. Also, each quest has three difficulty levels and there are special Treasure Hunting quests too. In fact, there are some downloadable levels too which provides special materials. After the completion of each quest, scoring is done which affects the weapons gained too. You need to kill as many monsters as you can in order to gain great ranking. LocoRoco 2 is a type of platformer video game which mainly revolves around the element of puzzle solving in both single player and multiplayer gaming modes. This second installment is quite similar to first one where the player controls the planet. However, this time you can witness some new features like ability to swim underwater, upgrading, squeezing through crevices etc. LocoRoco along with the help of MuiMui needs to fight the Moja corps again as stop them from sucking life out of living things. With quite an interesting theme, the game is more suitable for younger generation and also gained great response too. This makes it a perfect inclusion in the list of best PSP games made for kids. So, apparently we have come to the ending of the list of best PSP games ever and what else than Killzone: Liberation is a better choice for it. This one is a shoot ‘em up genre game featuring both single player and multiplayer gaming modes. You can control the gameplay from top-down isometric view and the game is a cusp between shooting and dungeon crawling. The player controls the character of Jan Templar and can also control various vehicles too. This clearly means that the game mainly focuses on vehicular combat. Adding to the versatility of the game, you can call for a buddy for help in certain levels. The player needs to keep on collecting money cases in order to keep on unlocking new weapons and some upgrades. It would be wrong to compare this iconic gaming console with other PS consoles made till now. Each one of them their own share of perks and let downs. However, PSP is easier to handle and also an excellent example of technology being confined to users’ hands. Quite like a smartphone but of course more advanced for gaming, PSP is definitely a treat for gamers who wants to keep up with gaming even while travelling. And this is why this handy list of best PSP games are going to save their time and brings down the best games made till date for PSP.